In 1966 Louis Nazzaro, Nicholas T. Nerich, Jr. and Russell DeFranco set out to create “a place of complete enjoyment, and relaxation for you, and your children, and a place where you will be proud to entertain your guests.” Their vision for a “little club in the country” began to take shape in 1968 when they purchased the site of the former Costello farm and created the Redding Country Club Holding Corporation. Louis Nazzaro became the first President of this new Club. 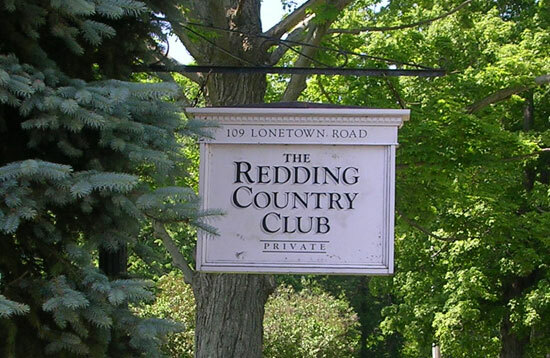 The Holding Corporation was subsequently unwound and The Redding Country Club was formed, owned by the members. 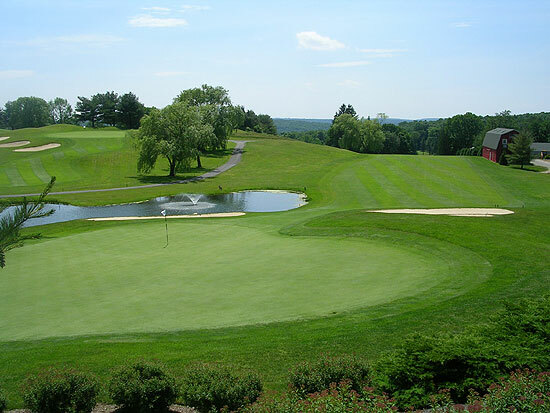 Nestled high atop the hills in the beautiful rural community of Redding, Connecticut, about 60 miles from New York City, this very family oriented country club is renowned as much for the friendly atmosphere as it is for its amenities. The Club today has 300 members and is a full service, family oriented, country club. To view what the Clubhouse looked like before renovations, click here. 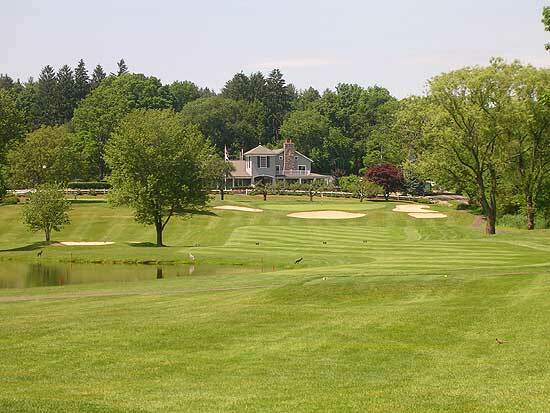 In 1973, Golf course architect, Ed Ryder designed a 9-hole course for the Club. Work was completed and the course was opened to members in 1974. 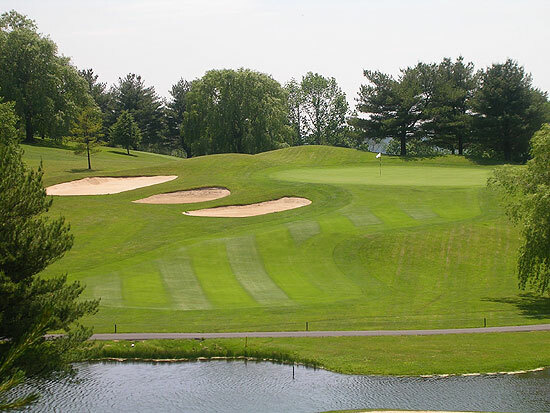 Four years later in 1978, Golf course architect, Rees Jones transformed the original 9 holes into a unique and challenging 18-hole layout and among the finest in the Metropolitan area. 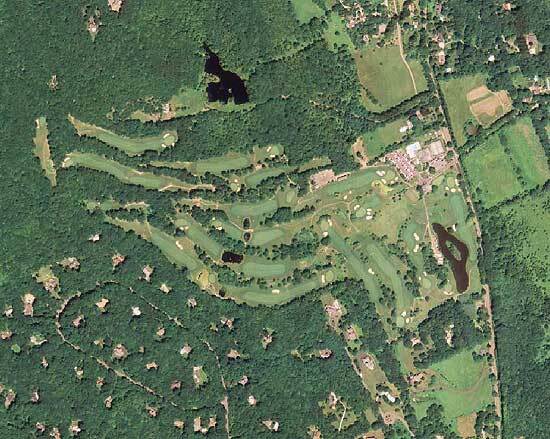 Jones took full advantage of the natural streams and ponds, found on 12 holes, and incorporated the precipitous changes in elevation to carve out a deceptively long short course measuring only 6, 317 yards. Bob Tway, winner of the PGA championship in 1986, won the Men’s Club Championship in 1973 at the age of 13. The course, golf practice facility, and Pro Shop are typically open April thru December weather permitting. Email the Golf Pro: golfpro@reddingcc.org. Tennis is played in the spring and summer on four har-tru courts located to the north of the Clubhouse. Seasoned professionals condition the courts from dawn until dusk all summer. Two of the courts are illuminated for night play. Men, women, and juniors take full advantage of the clinics, inter-clubs, and tournament schedule that runs from May thru mid-September. At that time the Paddle Tennis, also known as Platform Tennis, program takes off. This fun outdoor activity fulfills a social as well as physical need in the cooler months. The warming hut and two courts, lighted for night play, are situated on the southeast corner of the property. The pool complex, consisting of one full size 25-yard competition swimming pool and one wading pool for small children, is located at the northernmost corner of the Club. A separate pool house with changing room and locker facility stands between the two pools. Awnings surround the aquatic venues providing shade and a place to catch up on summer reading. Each year over 60 children make up the Swim Team that competes in the Stateline League. In addition various activities and “wacky days” are interspersed throughout June, July, and August for the enjoyment of all. 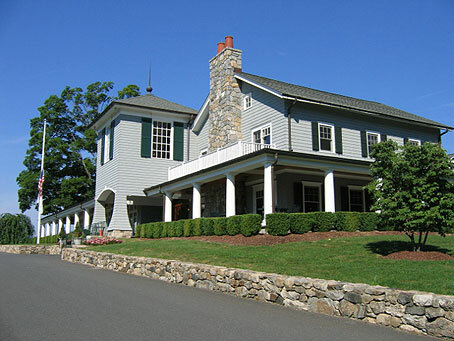 Completely rebuilt in April 1999, the new Clubhouse features New-England style architecture with a distinctive façade and a wrap-around veranda type porch/patio. The completed structure and its amenities surpassed even the most fastidious expectations of the membership. The original “farmhouse” after years of add-ons, was dismantled and a new state of the art facility took its place. After entering through the main foyer one may enter the grille room to the right, or the main dining room to the left. The grille room, a warm inviting room with a working fireplace and pub like atmosphere, is a favorite spot for lunch and casual dinners. The main dining room is the primary member destination for dinner on Fridays and Saturdays throughout the year. Dinners are also served on Thursdays and Sundays during the busy summer months at the Club. (The Club is closed for six weeks starting Feb. 1). A spacious kitchen with modern appliances complements the dining areas. Separate men’s and women’s locker facilities are situated downstairs and are complete with full-length cherry and alder lockers and shower, wash and toilet facilities. Offices and a meeting/conference room are located on the second floor. The patio, replete with Adirondack chairs and tables for fair weather dining, offers spectacular views of the golf course and panoramic sunsets to the west unmatched in the state. Interested in learning more about the Club or Membership? Email me and I'll answer any question you may have. "Hillview" A Serene Country Estate on 15+ acres w/sweeping vistas. Quietly elegant 1910 manor house w/classical architectural features of the period. The estate includes a separate guest house, pond, streams, hiking trails & is bordered by 400 acres of open space for total privacy. The Diamond House is a state of the art, triple mint, full service luxury condominium featuring white glove amenities including a fulltime concierge, private exercise room and breathtaking roof deck. Special Thank you to S. Klein Wassink for submitting this information. The official RCC site is http://www.reddingcc.org.